VMware kicked off their annual VMworld Conference with the usual showmanship, to more than 22,000 attendees, at the Moscone Center in San Francisco. VMware’s focus remains unchanged and they will continue to be bringing their vision of the Software Defined Data Center, Hybrid Cloud (now called AIR) and End User Computing to fruition over the next year. For certain there have been many enhancements over the last 12 months to VMware’s offerings to further their goal of being the common platform for everything. Product enhancements were mostly what you would expect and included vSphere 6.0 Beta, vCloud Suite 5.8, vSAN 2.0 Beta and the vRealize Management Suite. Many of these are available in beta now or will be soon. One of the big announcement was VMware’s EVO initiative which will bring two new solutions to the market. EVO is short for evolution. VMware has built a dedicated team which runs independently to conceptualize, iterate, test and deliver completely new offerings (a la Skunkworks) which is responsible for these 2 new offerings. The first solution is EVO:Rail which is VMware’s new partner driven Hyper Converged Infrastructure offering. This is an appliance platform intended to address midrange environments which require a rapid provisioning and simplified management as well as a single source for support. VMware is touting 15 minutes from box to VM deployment which is pretty impressive. EVO:Rail consists of 4 nodes which each support around 100 Virtual Machines. For more info on EVO:Rail, Duncan Epping, VMware’s Chief Technologist, wrote a new article titled, "Meet VMware EVO:Rail - A New Building Block For Your SCCC"
The second offering in the EVO line was EVO:Rack. EVO:Rack incorporates all of the concepts included in EVO:Rail, but provides this as a cloud consumable resource. What does this actually mean? VMware is touting the ability to deploy data center scale clouds in a 2 hour time frame. Raj Yavatkar, VMWare's Chief Architect for Converged Infrastructure, published, "EVO:Rack Tech Preview at VMWorld 2014," which provides a helpful overview. Other important updates from VMWorld 2014 include VMware's significant progress with their SDN platform NSX, including a 5X improvement in performance, broader partner ecosystem and impressive customer adoption. VMware also discussed Cloud adoption. In 2009 roughly 98% of all workloads were hosted on premise which decreased to 94% today. While this does not sound like significant progress (4% increase), indicators are that a tipping point has been reached where customers are actively moving from the experimentation stage in to production operations. This has resulted in exponential growth in recent months according to VMware. The first day at #VMWorld was both informative and educational. Have questions about VMWorld or cloud virtualization? Please post them here and we will be sure to reply. 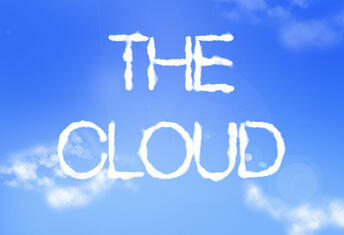 How are you planning your cloud deployment strategies? We'd like to know. Sean Gilbride is Director of Professional Services at Daymark Solutions and specializes in delivering virtualization, storage, and cloud computing solutions that help our clients optimize their IT infrastructure.